“By comparison to what it could have been, it’s a miracle. Now that the Paris accord has been finalized and agreed to by 196 nations, I am struck that for the first time in the series of now 21 Conferences of the Parties there is genuine clarity among a strong majority of participating countries about the the perceived gravity of this crisis. The recently announced “high ambition coalition” includes the US as part of more than 100 countries who have agreed that more strenuous efforts are in order. Even Australia has joined. This group is calling for a 1.5C guardrail rather than the arbitrary and clearly dangerous 2.0C limit to mean global warming. In addition to identifying a more appropriate target, the group wants future agreements to be legally binding and that global climate policy be based on science. It is clear that the Paris talks are a watershed event for humanity and our children’s future. Given that Copenhagen was such a dismal failure, it is appropriate to be joyous about this degree of clarity among the participants. Any accurate interpretation of history will mark the Paris summit as the most important world event in early December 2015. The summit conveners seem to understand that the science is crystal clear and that we must act. Either we drastically reduce emissions by the middle of this century or face catastrophic consequences over a millennial time scale. It is now clear to these negotiators that the damages to our biosphere are effectively permanent on any meaningful human time scale. You can’t negotiate with this reality. Every day that we delay large scale climate mitigation we impose a penalty on future generations. There is no safe amount of additional greenhouse gas that can be added to the already huge burden of the atmospheric commons. Negotiators are assuming that the increase in emissions will slow and stabilize by the year 2030, but this means that an enormous amount of carbon will be emitted before we begin to decrease emissions. There is evidence that worldwide emissions may have decreased in 2015, but this is surely a momentary dip. Secretary of State John Kerry has claimed that the US was an important contributor to this apparent decrease, but there can be no doubt that China’s increase in clean energy production and implementation of efficiency is largely responsible. We can be certain that this year is not the year that emissions will peak. Indeed, under the current commitments we are on a trajectory to warm between 3C and 4C, which will have consequences over ensuing millennia and result in manifold challenges to civilization. One missing part of the discussion in Paris was the impact of climate change on earth’s ecosystems. I have been an ecologist for over 30 years, conducting my research on tropical systems in Central and South America. I have also worked in forests in North America and in parts of Asia and Europe. During that time I have witnessed manifold changes to the earth’s natural systems and it is clear to me that climate change is increasingly overtaking human use of natural resources as the dominant factor affecting ecosystem form and function. The wholesale restructuring of the marine ecosystem of the Gulf of Maine is a prime example of how rapid warming is amplifying the effects of overfishing to produce what is effectively becoming a novel, albeit rapidly changing ecosystem. 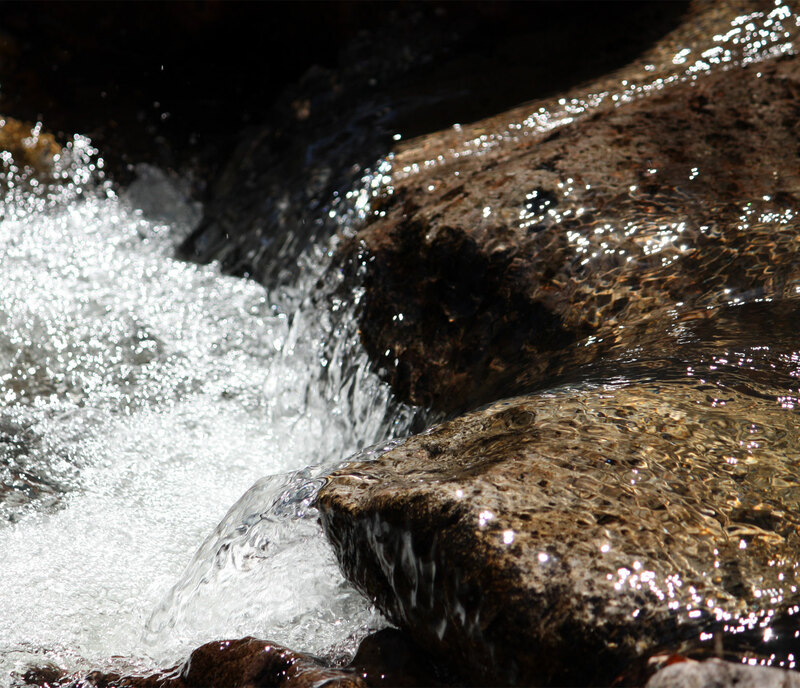 There are numerous other examples of this dynamic process playing out in sensitive ecosystems around the world. Much of what we have considered to be natural, no longer is, and most of what we hope to preserve will need to be adaptively managed as it transitions to something new. The good news from Paris for ecosystems is that the accord explicitly endorses the UNFCCC program for Reduced Emissions from Deforestation and Forest Destruction (REDD). Any expert who has attempted to quantify the carbon balance of forests will agree that implementing REDD will require broad scale proactive adaptive management. This simply means that for the first time in history we will be required to tend our garden with the intention of sustainability. If we are willing to seriously engage in sustainable management of forest resources to achieve “negative emissions” the profession of forest ecologist will take on a powerful new mission. In addition to implementing adaptive forest management, measuring, verifying, and certifying REDD activities will be a central skill of these professionals. The same logic can be applied to management of agricultural lands for enhanced carbon sequestration (e.g., Mulkey et al. 2008). Sustainability science is the field of research and teaching that provides such a comprehensive approach. Obviously higher education, and especially community colleges, will need to build new programs to train these professionals. Additional good news comes in the form of recurring mandatory reporting of emissions reductions and efforts to achieve and improve on 2C. 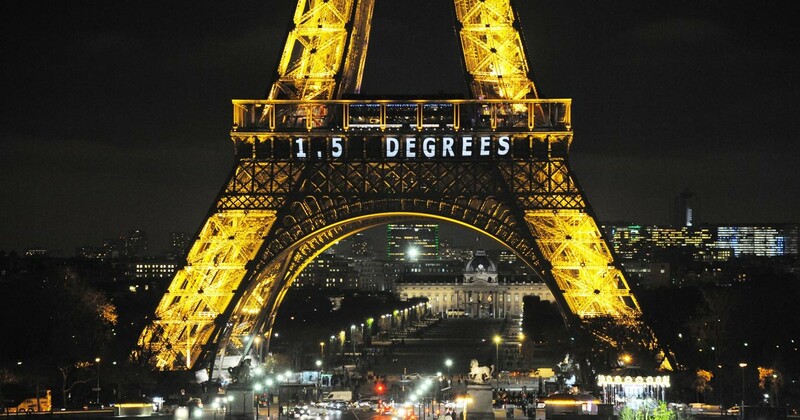 The agreement targets 1.5C as desirable. Each country agreeing to the accord is required to participate in reporting and review at five-year intervals. The US Congress cannot derail this, although presumably a president could ignore the requirement. Avoiding mandatory reductions and including mandatory reporting in the agreement was Obama’s primary strategy for achieving success in Paris. Mandatory reductions would require action by a hostile US Congress. Apparently Obama spent considerable time and political capital to achieve consensus among the parties. The reporting requirement also means that renewed efforts at energy efficiency will become important in order to achieve what the accord calls “a balance” to reduce overall emissions. If we fully examine the implications of developing broad scale energy efficiency, we are quickly led to the conclusion that sustainable adaptive management of energy and material processes is foundational to any such effort. The embodied carbon emissions in manufacturing, all aspects of the built environment, sales of goods and services, and transportation can be managed for efficiency through application of the principles of sustainability science. Again, higher education will have a clear mandate to supply these professionals as the market for energy management services grows. The bad news, as Monbiot and Hansen indicated in their statements above, is that the tenets of the Paris accord are much too weak to avoid catastrophe. Prior to the summit in Paris, 185 nations declared their Intended Nationally Determined Contributions (INDCs in the figure above) to emissions reduction by 2030. If no other reductions are achieved, these commitments would result 3.5C global mean temperature increase relative to preindustrial. Much more is needed. There can be little doubt that we have passed a tipping point in the production of greenhouse gases from the earth’s biological systems. As warming accelerates ecosystem production of CO2, we will need to redouble our efforts to reduce human sources of emissions. Responding to these natural sources of positive feedback will require us to measure them so that efforts at emissions reductions are appropriate to the scale of the problem. Quantitative data are only now beginning to show trends, but it is clear that essentially all sources of natural emissions are increasing. The most alarming evidence of such positive feedbacks comes from studies of forests and tundra. As ecologists have long suspected, recent data show that as forest respiration increases under increased nighttime temperatures, the earth’s immense tropical forests will progressively lose their ability to store carbon. The data from the Arctic leave little room for doubt that the enormous stores of carbon in permafrost are increasingly being lost to the atmosphere. 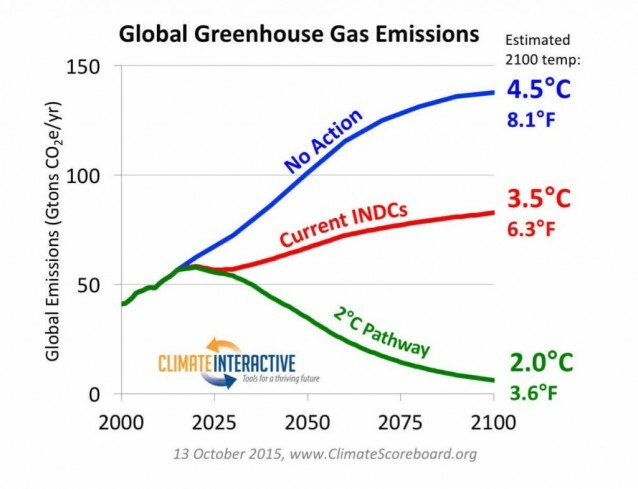 Modeling indicates that these emissions are accelerating. Similarly, it has recently been noted in the journal Science that there has been an alarming increase in the death of large trees worldwide. Some of this mortality is clearly related to climate change. The Paris accord means that we have now entered the era of the end of fossil fuels. To be effective, I believe that we must also embark on an era of sustainable management of energy and resources. Whether or not energy companies acknowledge this reality is problematic. I predict that some companies will embrace the opportunity for transformation, while others will retrench in the mistaken belief that the world will not be able to shake its addiction to fossil fuels. 350.org and other environmental groups are now calling for redoubled efforts to stop exploration and mining of fossil fuels. Never again will any country or company be able to say that burning fossil fuels is consistent with a thriving future. The social license for business as usual by the fossil fuel industry has been revoked.